Delhi chief minister and anti-corruption campaigner Arvind Kejriwal on Friday sacked one of his ministers for alleged bribe-taking after months of criticism over multiple scandals engulfing his party. Kejriwal used a televised press conference to announce the sacking of Asim Ahmed Khan, the capital region’s food and environment minister, over allegations that he received kickbacks from a builder for carrying out unauthorised construction. 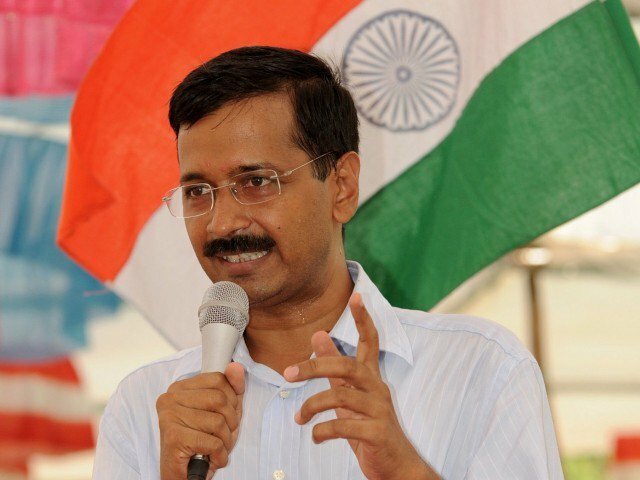 “We received a complaint that the minister took a bribe of 600,000 rupees ($9,255) from a builder,” Kejriwal said. The firebrand activist-turned-politician played audio clips allegedly of Khan talking to a middleman, before turning the tapes over to the Central Bureau of Investigation. Kejriwal said the decision to sack the minister should serve as a stern message to his party members that they are closely watched. “We can tolerate anything but corruption. We won’t spare the corrupt, be it anyone,” he said. Kejriwal did not specify whether Khan would continue to remain in the anti-corruption Aam Aadmi (Common Man) party, which trounced Prime Minister Narendra Modi’s nationalist Bharatiya Janata Party in February elections.